Selling a business is a significant event. Getting the business broker choice wrong, as most business owners do, is an expensive mistake. So here are the TOP 1​0 things you need to know about business brokers (and which business brokers won't tell you). There is a lot of information below! If it's too much to read ​get in touch to book a telephone consultation and discuss your specific needs. Fact 1: The basics: ​A business broker is a person or firm that assists business owners with the sale of their business (whether it's a sole proprietorship, partnership, limited liability company, PLC or something else). But most of the best intermediaries who sell businesses don't call themselves business brokers! And you could be missing out on the top talent if you're limiting your search to business brokers. Here's an overview of the ​ecosystem, who does what and who sells what type of business. Which of these is the right one for your business? Fact 2: How does any intermediary / broker go about selling a business? There are enormous differences in the amount of effort various entities put into selling a business, in how they go about finding buyers and closing deals (and, therefore, in their success rates and the prices they achieve for their clients). ​Note: It's generally accepted that the smaller the business, the less sense it makes to use an intermediary. For many micro businesses - one man bands, shops etc - it's better to not use one at all. Should your business even use an intermediary? ​What's the alternative? How can you sell your business yourself? Fact 3: B​rokerages, on average, sell only about 20% of the businesses they take on! Ignore the (unverifiable) claims many make of 50%, 80% or even 100% success rates. Some of the biggest & best known brokers sell fewer than 5% of the businesses they take on! What can you, the business own​​er, do to improve your chances of sale when using a business broker? ​Fact 4: There is no national regulatory body overlooking business brokers and no qualification or licence required to practise as a broker. That has resulted in the UK having some very dubious characters operating in this industry; the industry has earned itself a terrible reputation. Some of the biggest and best known business brokers around are worse than useless. So how do you choose the right business broker? Fact 5: When you are making enquiries of brokers you need to take extreme care with what you disclose. In many cases, even disclosing the identity of your business puts confidentiality, and the business, at risk. Here's how you protect yourself. ​Once you hire a business broker, the broker should take good care of your interests and the interests of the business. But till then you need to protect yourself and your business from the brokers themselves. Fact 6: ​Some brokers specialise in selling businesses in a specific sector or industry. There are major advantages to using a sector specialist - they can often get double the price that other brokers can achieve for you! But finding them is not easy. (For example, there are 20+ business brokers in the UK who specialise in selling accountancy practices and only accountancy practices. Yet you could spend all day on Google and not find even half of them!) We have some tips. Fact 7: When ​considering broker fees, the choice is not as simple as no-sale-no-fee vs paying a large retainer. Some of the no-sale-no-fee brokers (not all) are highly exploitative and should be avoided at all costs. And if you do pay a retainer, how do you know you're going to get value for money? We share some valuable tips here to help you get the right deal. Fact 8: When ​interviewing a broker you need to ask the right questions. And that's an art in itself. This is a considerably more important decision than when hiring an employee, but you've never interviewed a business broker before so what questions do you ask to judge their competence to sell your business? Don't be fooled by their smooth talk and well rehearsed sales pitch. We guide you through vetting brokers and asking the right questions. Fact 9: ​What the broker won't tell you is that his fees are generally negotiable and that you can save tens of thousands of pounds in fees, if not more, if you do and say the right things! But it's not a simple matter of making an offer lower than his quote. Don't ever do that to a corporate finance firm or M&A adviser, these professionals get easily insulted! You need to play it smart if you want a lower price. We know how to negotiate price because we've negotiated countless such deals. ​How can you negotiate a better deal with the broker? Find out here. Fact 1​0: You need to read the contract extremely carefully and, preferably, get it looked at by a trusted lawyer. Some of these contracts look straightforward but there are a lot of stings in the tail. We show you what to watch out for. 1. Which type of broker is right for you? Business Transfer Agents (BTA): A firm calling itself a BTA is squarely at the bottom of the market selling the smallest businesses - one man bands, newsagents, hair dressing salons, cafes, shops, corner stores and the like. Some business transfer agents call themselves business brokers - there is no clear distinction between the two. There are no qualifications one needs to set up as a BTA or broker and most have no formal training. There is also no industry body overseeing their work, no registration scheme, no vetting of BTAs, no ombudsman to whom you can complain if things don't pan out. Business Brokers: These range all the way from firms selling the above one man bands etc., to firms selling enterprises and corporations worth a few million pounds. As above, no qualifications are required and​ there is no industry body to whom they are accountable to. Any claims they make of being members of an industry body should be taken with a pinch of salt as there is no national or international body of any worth. Some of the larger brokers, however, may have one or more accountants / lawyers working in the business and those are governed by the codes of conduct of their own professional bodies (ICAEW and the SRA respectively). While the UK has many good business brokers and business transfer agents, the reputation of the industry isn't great​ ​and one needs to be extremely cautious when signing up with these outfits. Corporate Finance Firms: CF firms typically handle the sale of 'lower mid market' businesses / 'lower mid cap' setups ie. businesses with ​revenue (t/o) of at least £5m (though some go a bit lower and may even accept a £1m - £2m t/o business if the net profit is sufficiently high). The largest enterprises most of them are capable of handling adequately are ​​organisations with a value of £20m - £50m (called the middle market or mid cap market). Corporate finance firms are typically run by qualified accountants or they at least have qualified accountants working in them. There is still no licence or authorisation required for setting up as a corporate finance firm but, given the formal accountancy background of the owners / directors, these firms are often (not always!) more professional. Some corporate finance firms are, by their own choice, registered with and regulated by the Financial Conduct Authority (FCA) which adds a significant credibility. But just to make it confusing, not all firms with "Corporate Finance" in their name sell businesses. Some ​are actually commercial finance firms ie. they lend money to businesses! M&A Advisers: M&A advisers sometimes call themselves transaction advisors or consultants or intermediaries. They are very similar to corporate finance firms in how they operate. M&A advisers and CF firms bridge the gap between business brokers and investment banks. Again, there is no legal requirements on these firms to ​be registered or licenced (so you still get a mixed bag). M&A advisers sometimes get involved earlier in the process - assisting with exit planning, and strategic planning years before a concern is taken to market. Many also provide business growth advisory services and are focused on creating / identifying opportune environments for a “liquidity event” in line with the management’s strategic objectives. They don't need to have formal qualifications to do this job, but most of them do. Like with CF firms above, some M&A advisors are regulated by the FCA. Investment Banks (IBs): While all of the above handle what are called 'Main Street' businesses, IBs handle the sale of 'Wall Street' businesses, a term generally used to mean 'mid market' or 'mid cap' companies - megacorps with a value of over £50m. IBs also assist with raising finance – both equity and debt - for expansionary activities and they get proactively involved in guiding the strategic vision of the management team towards the objective of IPO, merger or acquisition. IBs are heavily transaction driven with ​enterprises paying large retainers and large monthly fees for advisory services and for underwriting their securities. At this level, transactions and deal structures are complex and require significant corporate finance expertise together with a keen understanding of the regulatory environment to ensure compliance. In the UK investment banks are heavily regulated. ​Commercial Real Estate Agents: CRE agents and commercial property consultants handle the sale of commercial properties - they sell everything from freehold shops and industrial units to B&Bs, factories, leisure centres, shopping complexes and airports ie. their focus is the real estate / property. Many CRE agents do a bit of business broking on the side - they'll take on the sale of a going concern, a trading operation / leasehold business, either on its own or together with the sale of the related property. Some CRE agents also handle the valuation and sale of assets. So if a business is not working out and the owners want to get rid of the stock, machinery or other assets they might call a commercial real estate agent (who may also go by the moniker of 'asset valuer', 'asset assessor' or 'commercial property consultant'). These agents would be able to value the stock and place or auction it. Which firm is the right partner to sell your business? This isn't easy to answer. ​Given the reputation of the BTAs and brokers, it may be worth the owner of a small business not using a BTA or broker but selling their business themselves. For larger businesses it's important to get a broker not just matched to the size of the business but one that understands the sector as well (in addition to a lot of other criteria). We assist with just this - advising on the right partners and using our comprehensive data on the industry to match you with the right partner / intermediary and at the right price. Fill in our form to find out more. 2. Is your business too small for a broker? 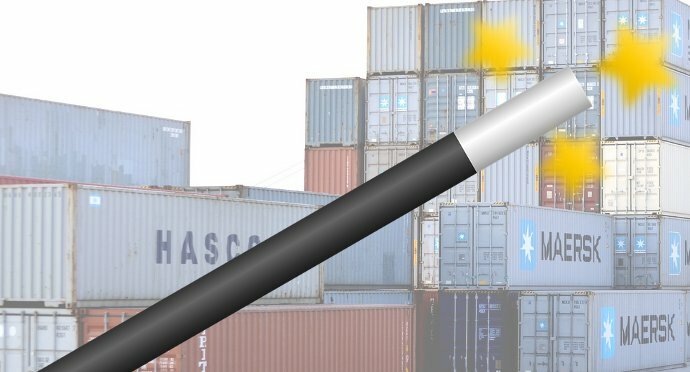 ​Too small For A Broker? ​how do brokers sell businesses? A business needs to be a certain size to benefit from the assistance of a business broker. We've explained the logic here. In short, if the business is not large enough it can't justify the broker fees required to do a proper job and the only brokers that would take it on are the not very good ones! ​In our many years of matching businesses with brokers we've found that the competent brokers won't take on enterprises that have a turnover of less than £5m. Yes, their threshold is as high as that! Some will take on a ​company turning over as little as £1m - £2m but only if it's otherwise a very attractive package ie. the firm has a high net profit or a couple of million in assets (and therefore could sell for a higher price). So what do small businesses do? Most small companies, especially one man bands, sole proprietor firms and sole traders, are left with the only option of using "business transfer agents" or the "we take on any old rubbish" brokers - the mass market operators. These small businesses tend to end up with the likes of KBS (Knightsbridge), Intelligent Business Transfer, RTA, National Business Sales, Blacks, or a number of no-sale-no-fee business transfer agents / brokers. We advise these micro, mini and small operations (under £1-2m in turnover)​ to avoid the pile 'em high and sell 'em cheap brokers. This is not just because these organisations tend to not get the best price for businesses (or anywhere near the inflated valuations they hand out to business owners!) but also because most are dismal at selling businesses and the large majority of the businesses on their books never find a buyer even after 24 months of the business sitting on their shelves! So how do you sell a small business? We advise owners of small businesses to sell their business themselves. The bottom end brokers usually just create a slapdash ad (some examples!) and post the business online at various marketplaces. The business owner can do that himself fairly easily and without shelling out 5% or 10% of the value of his business to the broker in "success fees". And without exposing his business to the risks inherent with using some of these brokers. There is typically a small cost to advertising on the above marketplaces, but canny ​entrepreneurs can use our offer here to get even that for free! And if they do feel they need some assistance along the way when conducting a DIY sale, we offer a range of services, just get in touch. 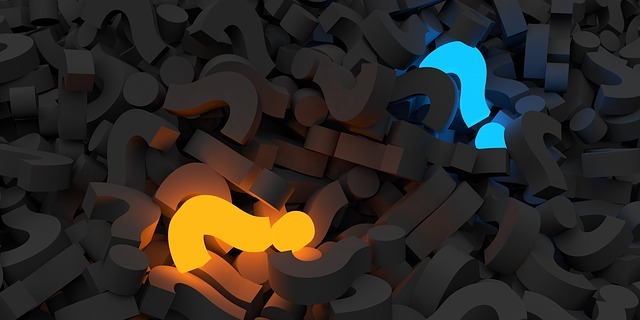 If you want a detailed breakdown of what proper brokers do differently to the mass market ones, click the above tab labelled "How Do Brokers Sell Businesses?" As explained in the previous tab, a business needs to be a certain size to benefit from the assistance of a business broker. This tab deals with the nuts and bolts of how a business broker goes about selling a client's firm. Stage 1 - Preparation: After signing the client up, they may spend an hour or two taking details about the client company. They may spend another hour or two plugging some of those details into their standard CIM template to produce a sales brochure or Confidential Information Memorandum (CIM). I've seen many of these CIMs and, admittedly, some of them look very professional! But they are basic 4-5 page brochures and cover nowhere near the kind of information buyers want in the first instance, so they are generally ignored by serious buyers. Bear in mind that these marketplaces may look like bustling hubs of activity but ​very, very few of the businesses listed here get sold! In 2017, BizBuySell.com, one of the biggest marketplaces in the US, got very excited that 9,919 businesses listed on their site found buyers. They were excited because this was a 26% increase over the previous year. But, to put that in context, there were 29.6 million businesses in the US that year out of which over 500,000 advertised themselves for sale! 9,919 is less than 2% of 500,000. Another claim these brokers often make is about having a lot of eager buyers on their subscription list and that they'll advertise the client business to their subscribers. The problem here is that while most such brokers have a long list of people opted into their newsletter, many subscribers are from years and years ago! Most of their subscribers are not currently in the market to buy a business (and 99% of the ones who are looking are either your average tyre kicker or someone not looking for your specific type of business). The quality of the average brokers list is so poor that fewer than 1% of their client businesses end up getting sold to someone on the list! Unfortunately, you have no way of testing the quality of their list before signing up with them. Stage 3 - Dealing With Buyers: When buyers do make enquiries, the brokers send them a Non Disclosure Agreement (NDA) to sign. On receiving the returned NDA they forward a copy of the CIM. However, it's unlikely these brokers will engage properly with buyers, answer questions promptly, manage buyers, accompany them on site visits to your premises, assist in the negotiation or create the kind of competitive tension that gets the client the best price. There just isn't enough meat in the deal for them to put in all that work. Buyers complain bitterly about these brokers because they are so frustrating to deal with. Go with the likes of KBS (Knightsbridge), Intelligent Business Transfer, RTA, National Business Sales, Blacks, or any of the no-sale-no-fee broker, and you'll find that they don't spend a great deal of time and effort on any individual client. They rely on numbers. They take on a large number of clients - hundreds of clients! - bung them online and hope that a few sell along the way. Their success rates tend to be quite dismal. Some of the no-sale-no-fee brokers successfully sell fewer than 5% of the businesses they take on! Stage 1 - Preparation: Unlike with the business brokers discussed previously, these firms tend to spend a long time analysing the business and suggesting "fixes" or changes that can impact on price. They often spend weeks or months working with the owner on not just grooming the business for sale to make it more attractive to buyers, but getting together the long list of documents that the typical buyer asks to see and getting together answers to the hundreds of questions buyers are going to raise. They'll anticipate buyer hurdles and work with the owner to develop answers to these future challenges. They'll also advise on share sale vs asset sale, different disposal options available to the ​shareholders / partners (MBO / IPO / trade sale / sale to a financial buyer / sale to a strategic buyer etc.) and discuss the option best suited to the individual business based on the shareholders' / partners' / owners' exit goals and aspirations. In other words, they provide a lot of advisory service even before the company goes to market. Once they are done with all the initial research, getting under the skin of the organisation, and preparing the enterprise for sale, they'll put together a Confidential Information Memorandum (CIM) or a Pitch Book. Unlike the documents prepared by lower end broking firms, this CIM is not a little brochure but a 50 to 100 page document covering various analyses of the business finances over the last few years - including an analysis of various financial ratios, an overview of the business plan, detailed cash flow and other projections, a SWOT analysis of the business, a list of the main assets, an overview of the industry and the industry's prospects ... and a whole lot of other information. This is the kind of information that the better funded buyers expect - the private equity firms, the strategic buyers and the big investors who have financial and legal advisers vetting business opportunities for them. Any business owner targeting an ambitious selling price is going to need the type of CIM that the big hitters are expecting to see. Stage 2 - Marketing: While some of these brokers do also use the same methods as the lower end brokers - sending a mailshot out to their subscribers and advertising on the main business-for-sale marketplaces - they tend to go much further and proactively hunt down prospective buyers​ ​as part of their marketing strategy. These firms conduct a deep investigation of the industry, buy in data of firms likely to be a good fit for their client business and ​painstakingly contact each one to see if they can generate interest in a conversation. Sometimes they contact a thousand or more potential candidates but, at the least, you can expect them to contact a few hundred. This research and legwork is extremely expensive to conduct (and part of the reason why these brokers don't take on a client business unless they've been paid a hefty retainer). These intermediaries also tend to have good connections with private equity firms, venture capitalists, high net worth individuals and other potential investors. Stage 3 - Dealing With Buyers: The hundreds of firms on their list are eventually whittled down to a dozen or two which are taken through the motions of signing the NDA and getting the CIM. Each is vetted for capacity and to ensure they have the means to actually complete on a transaction (a vetting that lower end brokers don't do). The broker then follows up and chases each target. This is critical because large companies that are typical target acquirers tend to be sluggish with their responses. The broker answers questions, meets with these prospective buyers, accompanies them on visits to the client business (and to meetings with the management) and coaxes each one along to a point where they are ready to make an offer. There is considerable project management involved to get all the target buyers to the point of offer at roughly the same time ...to build the type of competitive tension required to get the client the best price. Stage 4 - Closing The Deal: But it doesn't end there. Once the offers are in and the business owner chooses his preferred offer, there is still much work to be done. The broker gets the buyer to sign a Heads of Terms outlining the agreement and then assists in the (often) 100+ hours of due diligence that follows before reaching the point of exchanging contracts! He'll also likely maintain a Virtual Data Room (VDR) for document exchange and liaise between lawyers and accountants working for both the buyer and seller. Very often the broker even assists the buyer get regulatory approval (OFSTED for educational businesses, CQC for care homes and medical/dental practices etc etc), to raise finance for the deal, to overcome other hurdles. ​While most business owners can probably muddle their way through the sale of their own business, there is a lot more to the whole process than most business owners appreciate and the expert skills of a competent broker can make a world of difference. The problem with "success rates": When investigating a business broker with the intention of using their services, it's reasonable to want to know what percentage of client businesses the broker successfully places / sells. You can't take the broker's word for it, obviously! You need two pieces of information to work out their "success rate". The first is the number of businesses they've taken on and the second is the number of businesses they've actually sold. But unless the broker gives you access to his accounts and his books you have no way of getting these numbers. We found a way to estimate most brokers' success rates: Many business brokers use the main marketplaces and list all their client businesses on these marketplaces. So, for any individual broker, it's easy to get fair idea of how many businesses they've got on their books. 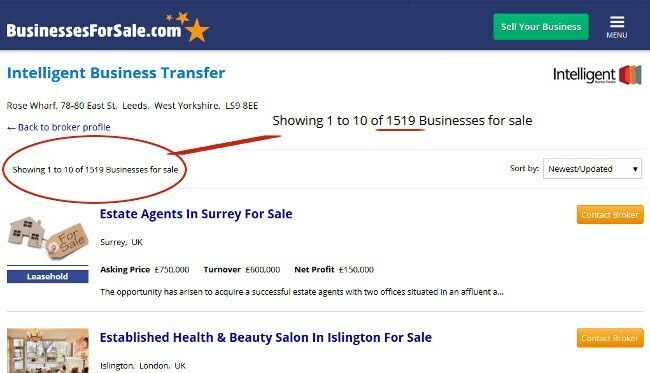 For example, if you want to see how many clients Intelligent Business Transfer (a large broker in Leeds) has, you can head to businessesforsale.com, find the relevant broker page, and you'll see how many businesses they've currently got listed. Here's a snapshot taken on Feb 18th, 2019 showing a massive 1,519 businesses currently on their books! So, for most mass market brokers, we can get a good picture of how many clients they have on their books. But how do we know how many they've sold? That takes a bit more time and effort. If a business has been sold, it's generally removed from the marketplace or it's prominently marked with a "Sold" sign. So we tracked all the ads posted by some of the mass market brokers in the UK. We ​found that, for some of these brokers, over 90% of the businesses they'd taken on were still being advertised for sale over a year later! Fewer than 5% had actually been marked as sold. So how do these brokers survive? First, they generally charge a retainer at the point of signing the client up. This could range from a few hundred pounds to the £5K or more charged by the likes of KBS Corporate. Even assuming an average of £1,000 per client, taking on a thousand clients generates a cool £1,000,000 in fees! If they sell even 5% of those business, the success fees are a nice bonus. Given that these mass market brokers tend to take on cheaper, lower end businesses, let's assume the average price at which they sell client businesses is only £200K. The average success fee is then £200K*(5% of 1000 clients)*6% success fee = ​an additional £600,000. But for many of them the "success fees" is actually a bonus, most of their earnings come from the "sign on" fee or the retainer. So what can you, the business owner, do to improve your chances of sale: First, if your business is a micro or small business, under say a couple of million in turnover, our advice is to consider selling the business yourself rather than using a broker. If the very idea of DIY is terrifying, talk to us about free resources and other options available to you including what we call the Assisted DIY route. If your business is large enough for the better business brokers, corporate finance firms and M&A consultancies, we can assist to find you the one best suited to your specific business, and at the right price. Many of them genuinely have success rates of 80% or more (but, to be fair, those success rates are partly because they take on only ​highly attractive businesses - businesses that are more likely to sell in the first place!). Solicitors are regulated by the Solicitors Regulation Authority. Accountants have to follow the ICAEW code of conduct. Every other professional or trade - from dentists to plumbers - has a trade body, industry body or regulator. Business brokers have nobody! There is an organisation in the US called the International Business Brokers Association (IBBA) but there's nothing international about it, it's very much a US affair. In the UK, a couple of small town business brokers got together and started a "Federation of Business Brokers" many years ago. However, almost no brokers signed up to it so it never took off. Neither the FCA nor the Financial Intermediary & Broker Association regulate business brokers (despite the latter's name)! So if you have a complaint about a business broker, there's no industry body you can go to for a resolution. ​ And there are thousands of complaints against brokers every year! You can research ​this topic, and the disputes that regularly end up in court, at the CEBTA site. Quite simply, it's very easy to make the wrong choice when signing up with a business broker. 5. How do you protect against brokers leading confidentiality? For most businesses it's vitally important that news of the intended sale is kept confidential. Significant value in the business can be lost if staff, customers or competitors know that the owners are considering selling. But maintaining confidentiality is easier said than done. When emailing a business broker to make enquiries, you could be disclosing your company name in the email address. When doing an online valuation of your business you are entering figures that could be used to reverse engineer the identity of your business. Even visiting a business broker's site could reveal your identity via your IP! But is there any danger in revealing it to a business broker? Generally, no. But some brokers have been known to "follow up" on an enquiry by calling on the company phone number (which is often answered by a member of staff). There have even been cases where the irate broker, in an attempt to get past the "gatekeeper", said that he needed to be put through to the boss because he was calling about the sale of the business. Yikes! We've put together a series of three articles on maintaining confidentiality in the early stages when making enquiries of brokers. Some brokers specialise in selling businesses in a specific industry, trade or sector. In our article here we explain why hiring a sector specialist can make a big difference and get the vendor a much better price. We estimate that using a sector expert can make a difference of as much as 250% in price. But finding all the brokers specialising in a specific sector is not easy as there is no public database or directory with this information. To the best of our knowledge, the database we maintain is the only comprehensive source of this intelligence in the UK. And it's amazing just how many sector specialists there are in the UK! For example, in 2018 there were about two dozen brokers specialising in the sale of just accountancy practices! They include the likes of Abbott & Crowe, Bains Watts & Co, Draper Hinks, Goldsmiths Accountancy Advisory Services, Maximiti Ltd, Nicolson Accountancy LLP, Owens Professional, Proctor Partnerships Ltd, Retiring Accountants, Swat UK and Vivian Sram Ltd.
Interestingly, none of those names come up in Google searches for business brokers! If you were an accountancy practice looking to find a good broker, and using Google, you'll have missed the UK intermediaries most competent at selling accountancy practices. By extension, you'll also have ​lost access to the strategic, industry specific buyers who go directly to these brokers! Similarly, if you were looking to sell a recruitment agency, there are over a dozen specialist brokers - names like Boxington, Chartswood Group, CS Consultancy, Henders Management Ltd, Optima Corporate Finance etc. Again, you won't find a list of these in Google. There are numerous other specialist brokers handling just manufacturing businesses, or financial ones, or care homes, or nurseries. There are some who handle only businesses in the hospitality / marine / agricultural / tech / software or SaaS / cosmetics / automotive and whatever other sector you can imagine. In the second tab in section 2 above we discussed how the better brokers - the higher end business brokers together with corporate finance firms and M&A consultancies - go about selling businesses. It also happens to be the case that these intermediaries are the ones more likely to have a sector specialisation or two. Read our longer article on why you need a sector specialist to get the best price for your business. ​Hiring a no-sale-no-fee broker is NOT a zero risk proposition. Some of these business brokers are the most dangerous and exploitative ones around and account for the large majority of cases that end up in court. 7. ​How much do business brokers charge? With lower end brokers there's often a 'penalty' payable if you take your business off the market. Here are a few examples to give you a flavour of the different kind of fee structures you're likely to see in the industry. BCMS Corporate (a generalist broker) charges a fixed fee of £44,700 + VAT payable in six monthly installments and while they are marketing the business. This is for a business with turnover circa £5M. For smaller businesses (£350K – £1M Turnover), it’s about £15,000 for the marketing. In both cases they charge a ​commission on successful sale – the greater of 3% or £35,000. ​Blue Box ​(a generalist broker) charges a flat rate of £30,000 for the 'initial assessment'. ​Camlee Group, and a few other corporate finance firms, charge a retainer of £20K - £30K and a success fee of 3.5%. Large accountancy firms that sell businesses - such as AAB - also charge in this ballpark. AAB charges £25K - £30K with a success fee of 3%. Similar fee levels at TranscendCorporate, Orbis Corporate Finance and about 120 others. Equiteq, who specialise in selling management consultancies, charge a retainer £5K a month and a success fee of between 1% and 3%. With KBS (Knightsbridge) it's common to get a quote of £5K as retainer and 4% of the selling price for a business valued at £400K-£500K but sales reps seem to have some flexibility in what they quote and do sometimes quote more. HarrisonSpence (who specialise in selling retail financial firms) charge a £2,000 retainer followed by a 5% success fee (but they also charge the buyer 2%). Hornblowers (who sell engineering businesses) charge £2,500 as a retainer, another £2,500 on 'heads' and a success fee of 5%. Most small brokers and a few larger ones charge no upfront fees. Examples: Turner Butler & Co​, Bernard Baxter​, Ashley Tate​ … and about a hundred others. Some ​charge a fee if you take your business off the market. With Knightsbridge​ (KBS) that fee is apparently £1,000). 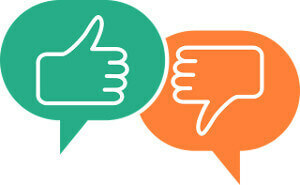 We strictly do not recommend the use of any no-sale-no-fee brokers. If your business is too small to justify the fees for a proper broker, our advice is to sell the business yourself. For clients who want a competent and highly capable broker, there's no way around it, they are going to have to pay a retainer. Why? For two reasons. First, these brokers are going to put in a lot of effort - hundreds of hours of effort. They will add substantial value to the business by analysing the accounts and financial ratios, calculating EBITDA, valuing the enterprise, preparing various documentation - from business plans to financial projections to the Confidential Information Memorandum - and done a lot of other leg work. And they'd have nothing to show for all that time and effort if the client pulls out. Taking a retainer is part compensation for that time but also evidence, for them, that the client is serious about selling and is not just 'fishing around'. But how do you know whether the broker to whom you're paying a large retainer is any good at what he does? And whether it's worth you risking that money? The best way is to sign up for our broker matching service and take advantage of our data and expertise. However, if you're doing it yourself, there's no alternative to a lot of painstaking research. 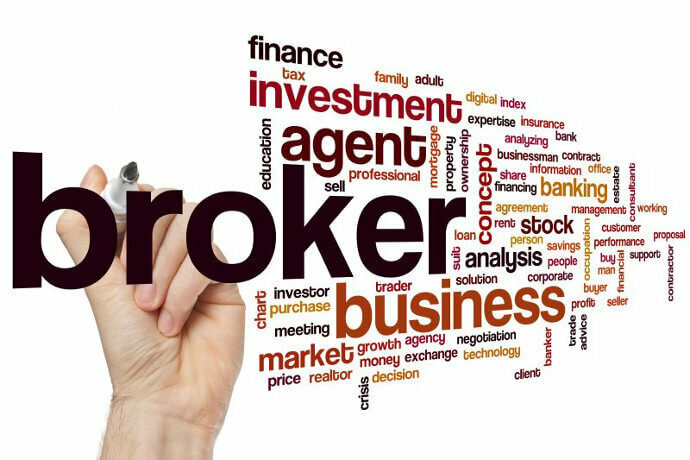 Have a careful read of our page on how to choose a broker. Then get back and study our section below on good questions to ask a business broker. ​Below are some of the questions we advise our clients to ask when interviewing brokers. There are other good questions, but we aren't including them here in this free guide. ​1. Who will be handling my account? With lower end brokers it’s not uncommon for one person to sign you up, get his commission, and hand you over to a bunch of poorly trained, call centre staff! It's a good idea to ask for the name/s of the person/s who'll be handling your sale and who'll be updating you on progress. ​2. How much do you charge, what is your fee structure and what do those fees cover? Get a clear picture on this right at the start. When you eventually sign the contract make sure that the terms match exactly your understanding of their charges. ​3. Is your key contact capable of advising on multiple exit options? A trade sale may not be the best option but brokers who have no experience in, say, Management Buyouts, would seek to guide you to the exit that pays their commission. Take names, titles, experience and qualifications of the people who’ll be involved in selling your business. Check them out in LinkedIn. ​4. Who will be conducting the valuation of my business and are they professional accountants? Brokers normally value businesses themselves arguing that their vast experience with real life mergers and acquisitions puts them in a better position than accountants. Remember that a broker has incentive to inflate the price in an attempt to gain your instruction. An unrealistically priced business will put buyers off. Starting off high and lowering the price later simply makes you look desperate. ​5. Will you put the valuation in writing along with the reasoning behind the figure/s? How often does he list a business at one price and then recommend to the seller six months later than the price needs to be reduced, followed by another reduction when even that price doesn’t work? ​6. What exactly can I expect from you at various stages of the process? How much of work will they be doing, what work, and how will they keep you updated? ​7. Where , how & for how long will you market my business? Can I see examples of teasers & CIMs you’ve written? Do you find those CIMs well written, persuasive, professional? If you were a business buyer would the teaser tempt you in? Where will they be advertising your business in ...and for how long. ​8. Have you successfully sold businesses like mine? Any examples? Ideally they’d also be able to provide testimonials from named (not anonymous) business owners who’ve successfully sold through them. Get an idea of the typical size of the client businesses they sell and the sectors they specialise in. Their understanding of and track record in selling your type of business is what you’re after. 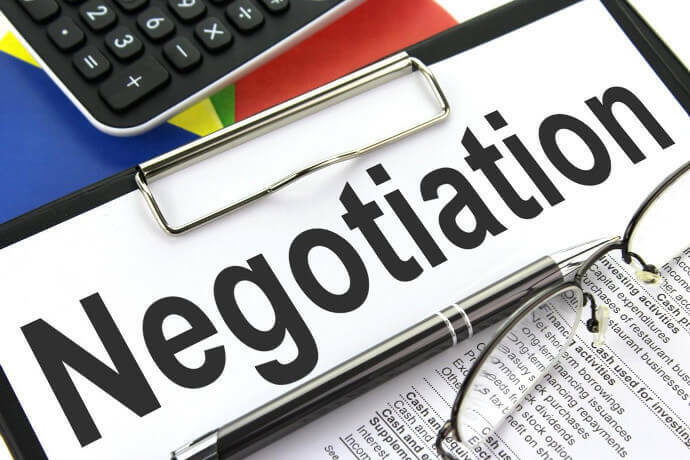 Most brokers are open to a bit of negotiation on fees and we've put some tips together for you but, unfortunately, you're not in ​a position to negotiate the best price, we are. Being a potential source of future leads for the broker puts us in a much stronger position and we have often negotiated a whole percentage or two off of the success fee and a reduction of £20,000 or more on the retainer! We've also convinced brokers to spread their retainer over several monthly installments and to give our client a break option if at any point the client didn't feel they were getting value for money. But we've put some tips together for you anyway. Please find them here. ​Before he acts for you the broker is going to want you to sign a contract. The contract may be called by many names - engagement letter, instruction letter etc. Whatever the terminology, it's a contract and it's a legally binding contract at that. 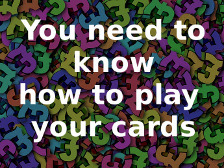 Sometimes the "letter" terminology makes business owners complacent and they proceed without independent legal advice. Some hard-sell brokers pressure business owners to sign earlier rather than later and even provide incentives to encourage an on-the-spot decision. ​However, even the genuine, reputable brokers are going to have contracts that are drawn up to protect their interests not yours. So it's a good idea to have the contract vetted by your lawyer. There is none! Cooling off periods exist to protect consumers, not businesses. This is a business to business contract. Even if you sign the contract in your own name rather than as the business owner, you may not be able to rely on that in court to justify pulling out of the contract within the 14 day period. Once your contract is signed, it's signed, and it's difficult to impossible to get out! Read ALL parts of the contract: Is there a flip side to the document? It's more likely to host the terms that are not in your interest. Another common practice is off-paging: ! It's worth studying the contract carefully for references to off-page terms & conditions, T&Cs that reside on their website or elsewhere. Hourly billing is common with some professionals. With a broker, however, it is not necessary and you could be opening yourself up to some pretty hefty charges that you find difficult to justify but which you are contractually obliged to pay. Many good brokers do take an upfront fee, and some are worth it, but make all the enquiries you need to satisfy yourself first that you’ll be getting value for money and include a way out should you discover it’s not working to your satisfaction. It's worth strictly refusing to accept any condition that allows the transfer of your contract. If your broker goes bust you don't want their rights transferred to an unknown third party. Regularly going bust is part of the “business model” for some brokers. - Agreeing to pay a percentage of the valuation price (rather than the achieved price). There is no legally accepted definition of Good Faith and a promise to act in good faith may be worthless as "good faith" is subjective. A Power of Attorney gives the broker the power to accept or decline offers on your behalf. You might want to ensure the contract says he’s acting only as an agent. He can enter negotiations on your behalf & agree to figures and terms … provided he makes clear to the investor that it's provisional & subject to your final approval. If there’s a penalty for you withdrawing from the sale, it's worth negotiating it to be a fixed penalty figure to compensate the broker for the time he spent on this now aborted sale. Tying it to to either the original (possible unrealistic) valuation or even to “offers” received from buyers is an unnecessary concession to make. A notice period is a notice period: If you are required to give a 30 or 60 day notice period prior to withdrawing their instructions, are there conditions they've imposed? Some brokers stipulate that if you cancel the contract while a potential buyer is showing interest you are still liable for the commission. Given it’s not difficult to fake a “potential buyer” it pays to be cautious about conditions tied to the notice of termination of contract. We have copies of hundreds of contract / engagement letters from brokers all over the UK and have seen the good, the bad and the ugly. We advise our clients on getting the right terms when they sign up with a broker. This varies widely depending on the type of broker you use. We've covered it on the second tab here. Some charge nothing at the start and 10% on selling your business. The better ones tend to require some element of upfront fee. More here. Do I need to hire a business broker to sell my business​? ​Many business owners successfully sell their businesses themselves. The ​larger the business the more sense it makes to get professional assistance. It's a lot easier to find a bad broker than a good one. We offer tips here and here​ on finding the right broker. Do business broker need a licence? No, anybody can set up as a business broker. There is no formal qualification. Read our page on business broker careers and jobs. Can an estate agent sell my business? If it's a commercial property then you might want to speak with a commercial real estate agent. Otherwise estate agents aren't the best bet. ​How do brokers find buyers for businesses? ​Some are passive - they advertise and sit back. Others are more proactive (particularly the ones who charge an advance fee). More here. Get The Right Broker, Get A Better Price! We provide unbiased advice on the 1000+ "business broker" firms (and which ones are better placed to sell your particular business for the best price). ​ 100% confidential. We can also tell you when business brokers are not right for your business, & what you can do instead, for free (! ), to sell your business and to sell it for top price.